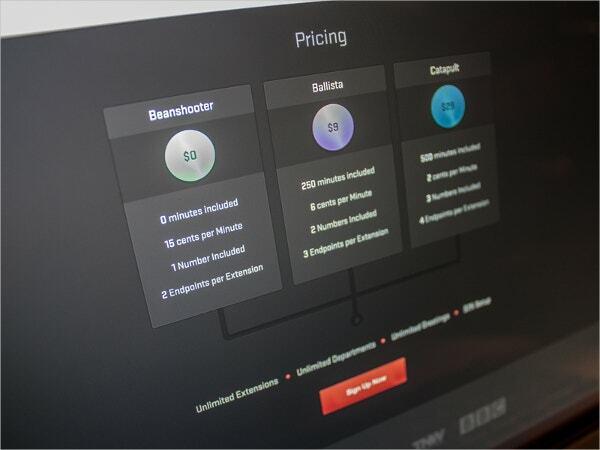 Pricing is a major aspect of marketing that can either attract or put potential customers off. 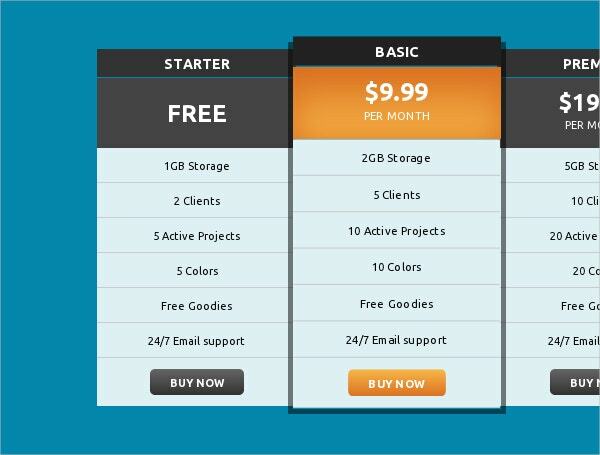 For effective pricing as an e-commerce trader, you should use Innovative Pricing Table Designs. Seek to establish a clear price with more value than the anticipation of your clients. 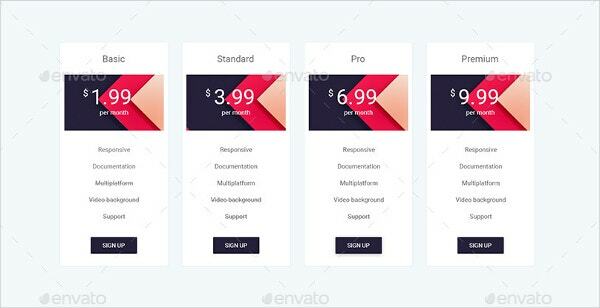 Luckily, there is a wide range of pricing table designs that vary in sizes, colors, shapes and fonts available for purchase and download. You can always edit and customize them appropriately. 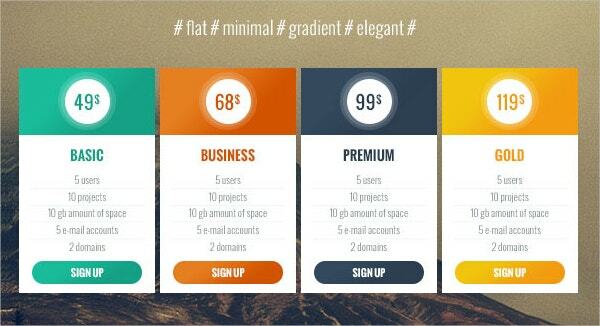 The flat Gradient Pricing Table Design is ideal for business use. 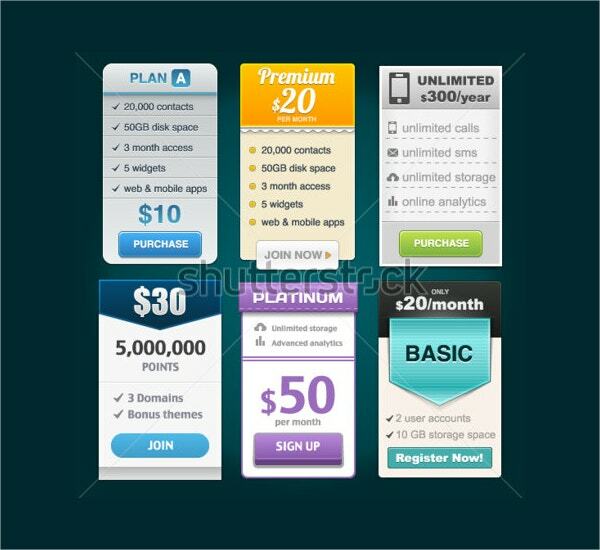 It features graphic, UI, UX and Web Designs. 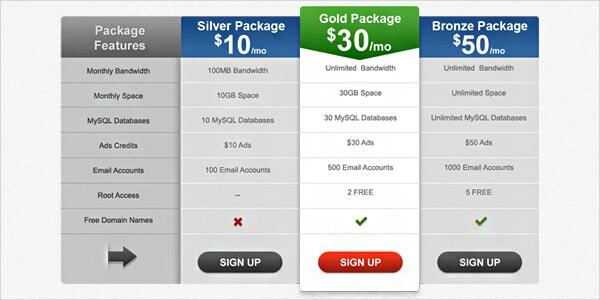 It offers you with easily editable pricing plans for any business. 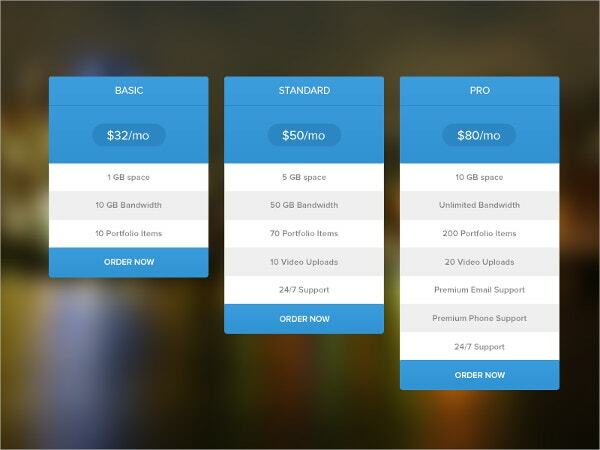 The layered 5 pricing tables Design features Free Arial fonts, SwissBlk BT, and Swiss Th BT for download. 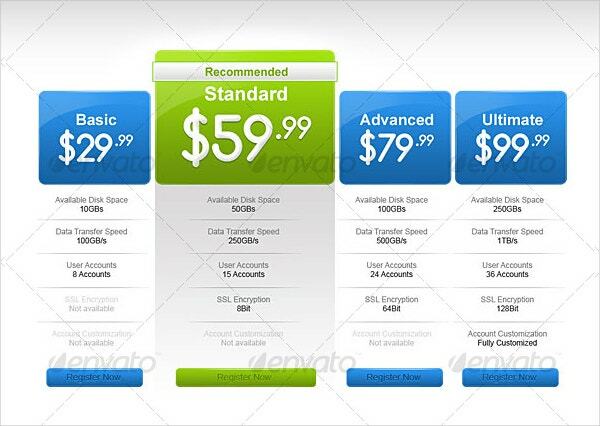 It is editable and customizable free of cost with JPG and Photoshop PSD files. 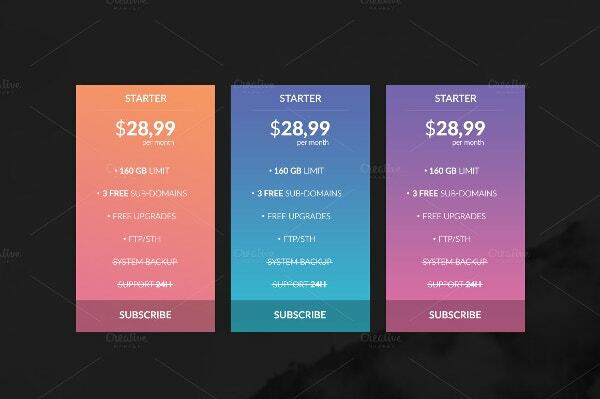 You will enjoy using 10 Pricing Tables Bundle since it contains customizable fonts, colors and sizes. It is designed on vector illustrations and features beautiful layers and free Google fonts. 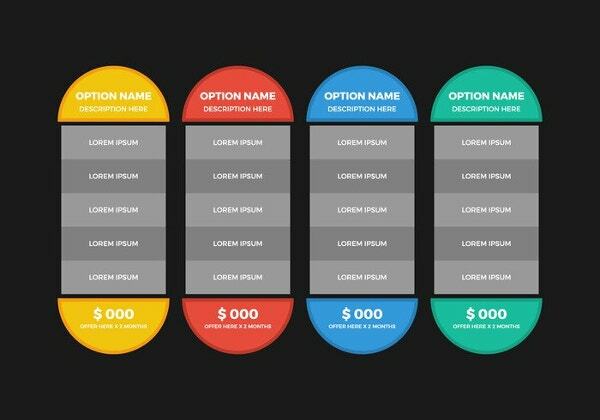 The Vector Pricing Tables Design that comes as an AI file with 3 colors is effective for retailers and business projects. It is designed with Free Google Fonts, is layered and easily customizable. 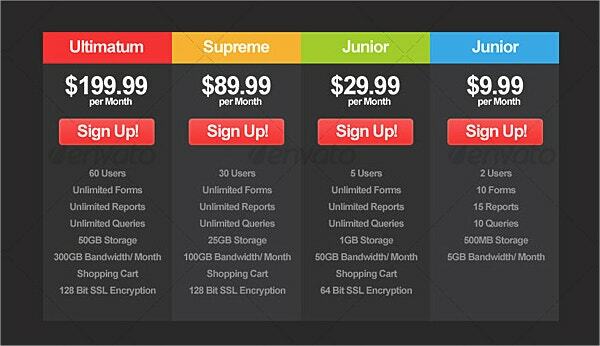 The Vector Pricing Table in Flat Design is useful in applications and websites. It comes in high a resolution, diverse sizes and colors to suit your needs. It is also easy to use and edit. 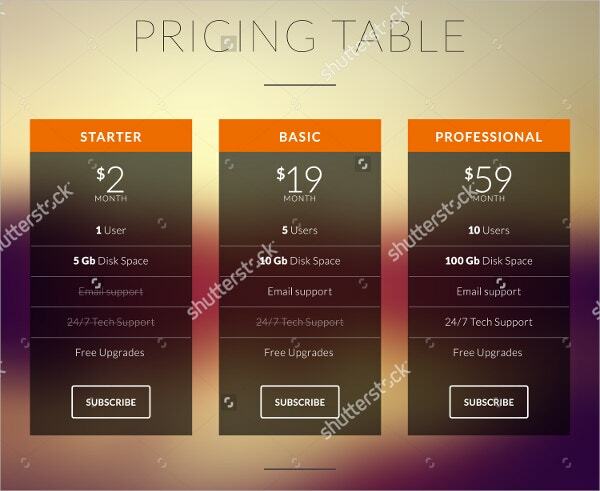 Stylish 2 Pricing Table Designs is a glassy and classic yet modern product table. It is layered with PSD graphics and comes in 1000 by 1600px. It is ready for use and easily customizable. 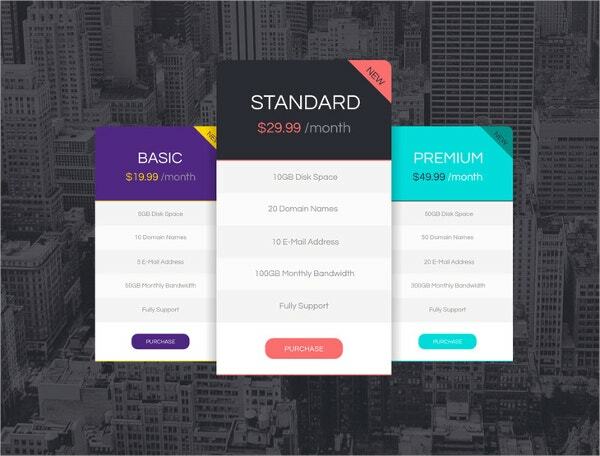 Blended Neon Pricing Tables is designed on Bootstrap Grid using Vector shapes whose colors, fonts and sizes are easy to edit, customize and use. It is layered, well labeled and contains free fonts. 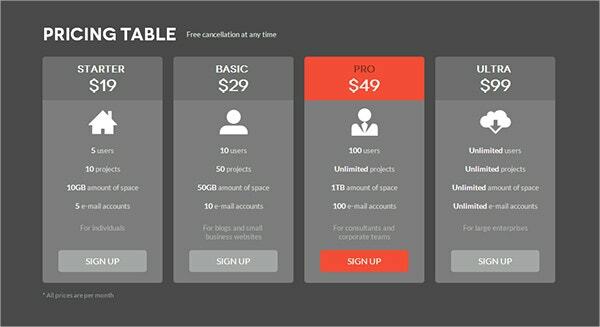 This Pricing Table for Websites & Applications is available for download and is efficient both for small and large businesses since it is customizable and versatile with millions of illustrations, vectors and images. 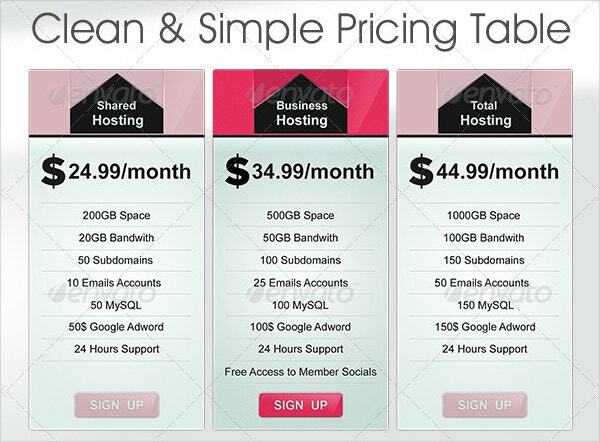 The professionally layered 3 Style Modern Pricing Table Designs is perfect for business owners. 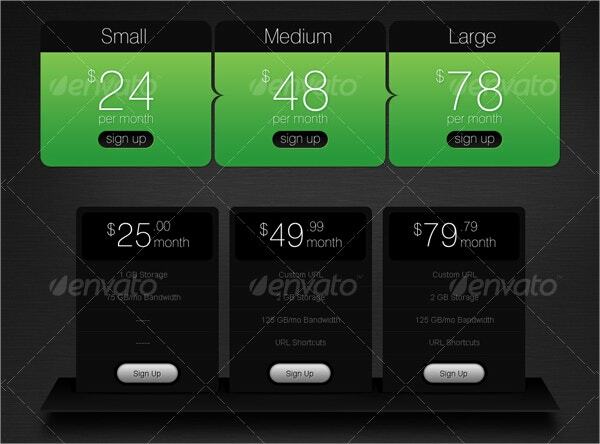 It features Arial fonts with easy to customize colors and sizes. Its columns are labeled for easy use. 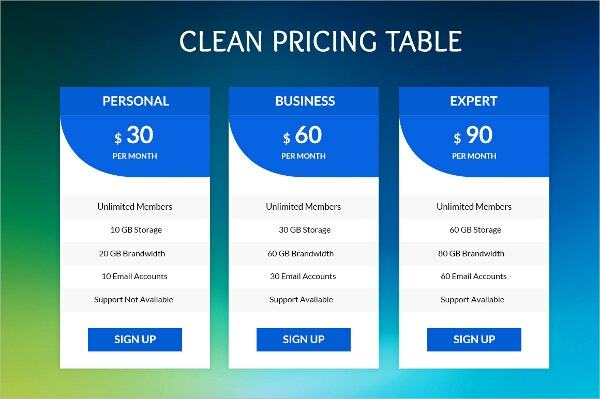 Clean Pricing Tables contain fully layered 6 PSD vector files. They are easy to edit and customize. 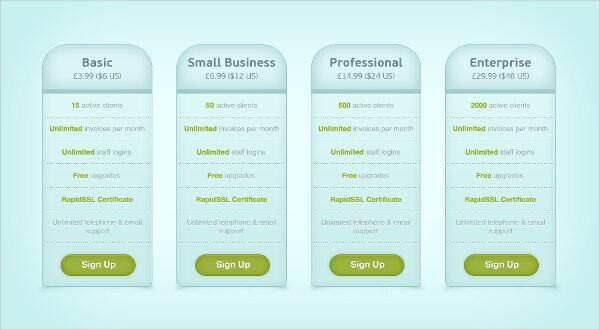 You can resize its shapes, and change colors and fonts at no cost to suit your commercial needs. 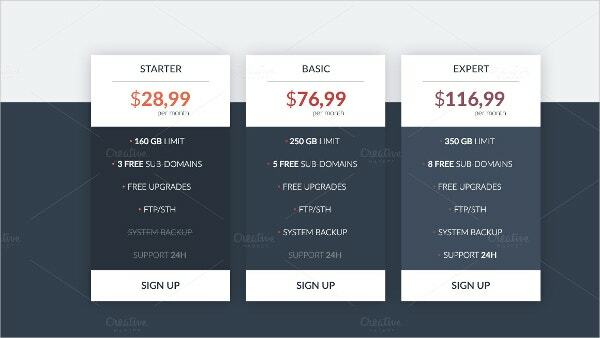 These professionally designed pricing tables should enhance your e-marketing strategies. 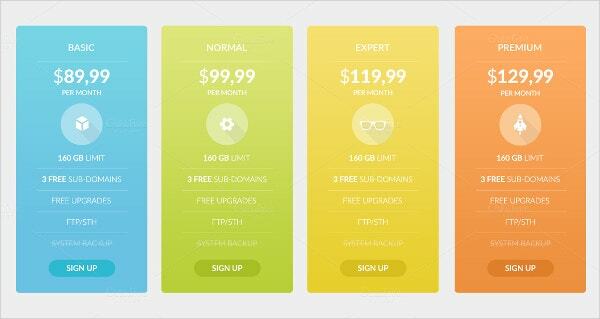 Use them to attract consumers by ensuring that you vary your pricing plans while focusing on color, size and badging. 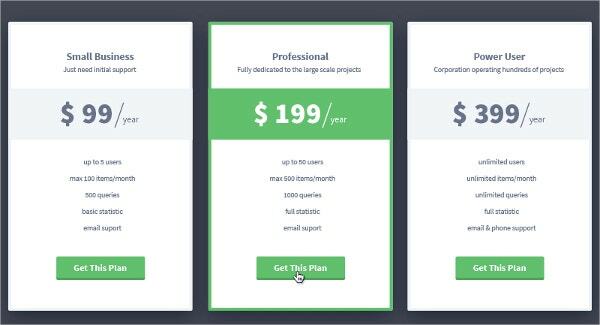 Provide only vital information about your products and include a call to action and social proof to your pricing tables. 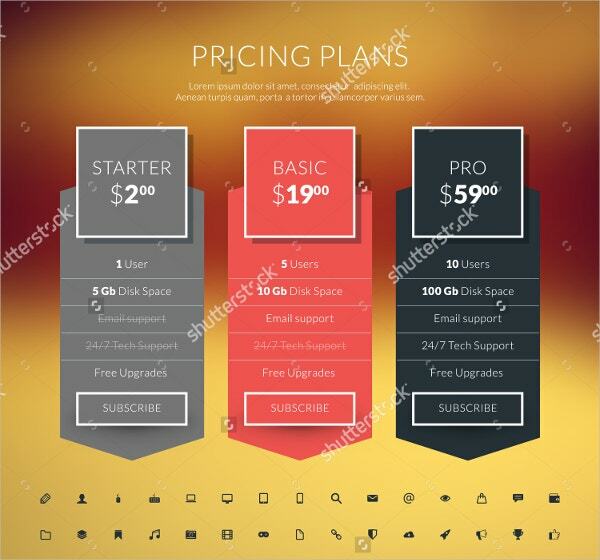 You can also see Price List Template.